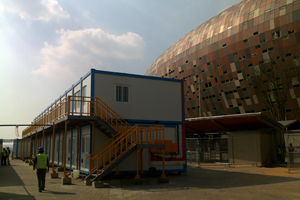 As Africa’s largest manufacturer of modular buildings, Kwikspace meets the needs of businesses and remote or temporary camps for rapid, prefabricated work spaces. Whether you need a temporary or permanent structure, our mobile offices provide comfortable, convenient and cost-effective solutions to your unique working requirements. Rapidly deployed, plug-and-play and Agrément-certified, Kwikspace modular offices are ideal for mining camps, construction sites, sports / entertainment productions, military and policing requirements, or any other application requiring high-quality, mobile work space. Our mobile offices use Agrément-certified alternative building technology. Get a quote on a mobile office! Call us on 011 617 8000! Factory-built and delivered by truck to your site. Our mobile park homes are offered in different configurations: single containers, double-wide containers and ‘multi-slice’ buildings. Ultra-compact Flatpacks are joined side-by-side and can also be stacked up to 4 storeys high to offer large office spaces in the same area as a standard container. Completely customised office buildings, including multiple storeys, and sites can be erected quickly to your exact requirements with a range of Kwikspace prefabricated panel technologies in kit form. Need a temporary or permanent site office? 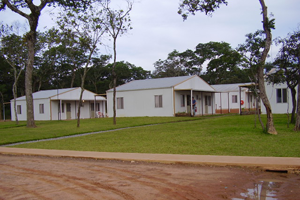 As Africa’s largest prefab building manufacturer, we can quickly construct buildings to the size and scale you need for your office requirements, and have them delivered to your site within 2 to 4 weeks. Our products have a minimum lifespan of 20 years, and come with a 1-year warranty. All products are manufactured according to stringent production processes at our ISO 9001:2008- and OSHAS 18001:2007-certified facility. Kwikspace can customise your mobile office with any extras you may require, such as blinds, office furniture, air conditioning and more. Get a quote on a prefab office today! 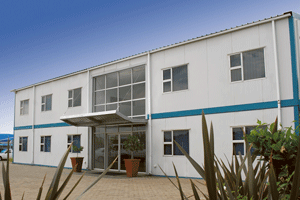 Kwikspace has the largest modular building rental fleet in sub-Saharan Africa! That means fast turnaround times for your exact office requirements, with delivery to site usually within 5 – 10 working days of your order being placed. Arriving ready for immediate use, a mobile office rental is a cost-effective, flexible solution to get the office space you need. Regardless of your industry or requirements, we rent containers tailored to suit your needs. With rental refurbishment facilities in Gauteng, Kwa-Zulu Natal, Eastern Cape and Northern Cape, our rental containers are delivered quickly and efficiently. Get a quote on a mobile office rental today! Speak to us about your mobile office requirements! Call us on 011 617 8000 or send us your requirements here. 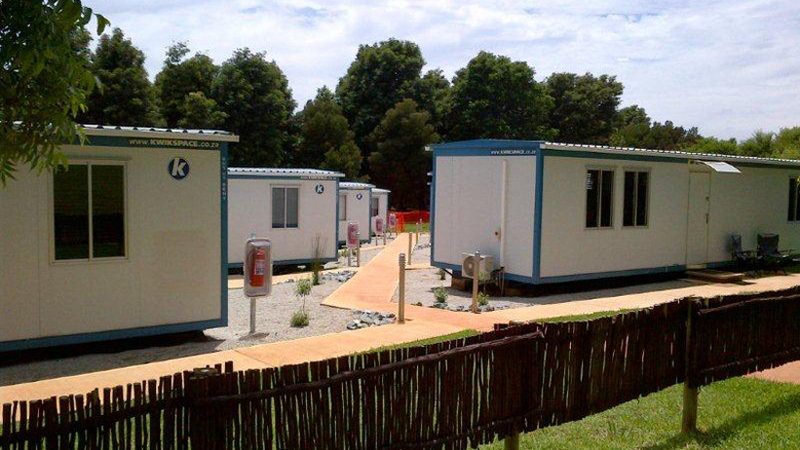 For over 50 years, our prefab buildings have enabled large-scale projects to be executed reliably on time and in budget, ranging from accommodation camps and large schools in remote regions to offices and amenities for large corporates. 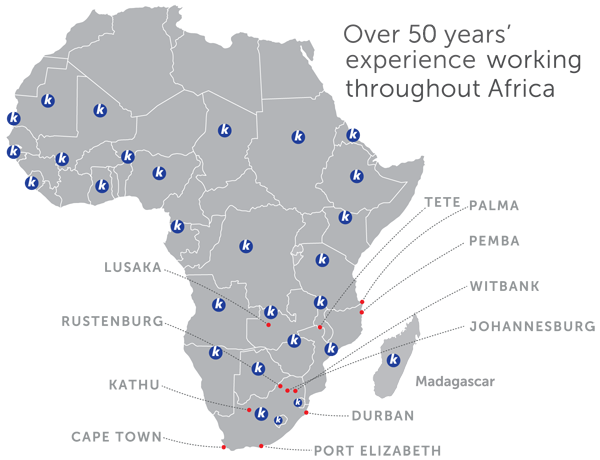 With 6 branches strategically located across South Africa, as well as 2 in Mozambique and a branch in Zambia, we are able to deliver your modular offices to your site quickly and efficiently, no matter where. Our 500 000 m², ISO 9001:2008-certified panel manufacturing plant in Johannesburg ensures we can develop your prefab buildings quickly, to the most stringent standards. That’s why our mobile offices have a minimum lifespan of 20 years! Contact our sales office today for rapid workspace to your needs!